Continuing her visit in Paris Fergie unveils yet another fashionable ensemble, but IDK that jacket would have looked better if it were smaller. 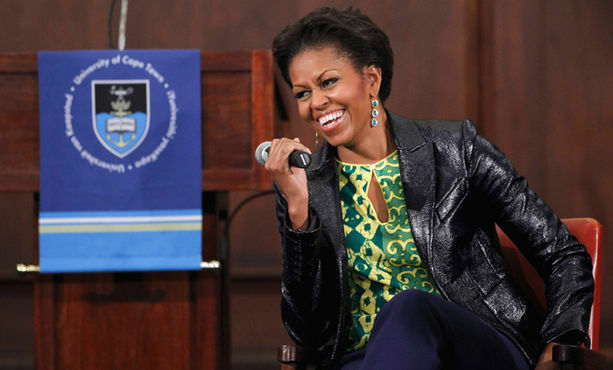 See this is what I'm talking about, Michelle has mad style and its about time that a first lady do the fashion thing (remember all those other old looking first ladies with the beehive looking hair and tired skirt suits) now we have a fashion icon, that leather blazer is super fresh and to top it off her African print shirt. This photo was of her talking to students in Cape Town Africa.